When it comes to children’s learning, are we focusing too much on schools—and not enough on parents? Given all the roiling debates about how America’s children should be taught, it may come as a surprise to learn that students spend less than 15% of their time in school. While there’s no doubt that school is important, a clutch of recent studies reminds us that parents are even more so. A study by researchers at North Carolina State University, Brigham Young University and the University of California-Irvine, for example, finds that parental involvement—checking homework, attending school meetings and events, discussing school activities at home—has a more powerful influence on students’ academic performance than anything about the school the students attend. Another study, published in the Review of Economics and Statistics, reports that the effort put forth by parents (reading stories aloud, meeting with teachers) has a bigger impact on their children’s educational achievement than the effort expended by either teachers or the students themselves. And a third study concludes that schools would have to increase their spending by more than $1,000 per pupil in order to achieve the same results that are gained with parental involvement (not likely in this stretched economic era). So parents matter—a point made clear by decades of research showing that a major part of the academic advantage held by children from affluent families comes from the “concerted cultivation of children” as compared to the more laissez-faire style of parenting common in working-class families. But this research also reveals something else: that parents, of all backgrounds, don’t need to buy expensive educational toys or digital devices for their kids in order to give them an edge. They don’t need to chauffeur their offspring to enrichment classes or test-prep courses. What they need to do with their children is much simpler: talk. But not just any talk. Although well-known research by psychologists Betty Hart and Todd Risley has shown that professional parents talk more to their children than less-affluent parents—a lot more, resulting in a 30 million “word gap” by the time children reach age three—more recent research is refining our sense of exactly what kinds of talk at home foster children’s success at school. For example, a study conducted by researchers at the UCLA School of Public Health and published in the journal Pediatrics found that two-way adult-child conversations were six times as potent in promoting language development as interludes in which the adult did all the talking. Engaging in this reciprocal back-and-forth gives children a chance to try out language for themselves, and also gives them the sense that their thoughts and opinions matter. As they grow older, this feeling helps middle- and upper-class kids develop into assertive advocates for their own interests, while working-class students tend to avoid asking for help or arguing their own case with teachers, according to research presented at American Sociological Association conference last year. The content of parents’ conversations with kids matters, too. Children who hear talk about counting and numbers at home start school with much more extensive mathematical knowledge, report researchers from the University of Chicago—knowledge that predicts future achievement in the subject. 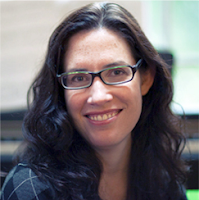 Psychologist Susan Levine, who led the study on number words, has also found that the amount of talk young children hear about the spatial properties of the physical world—how big or small or round or sharp objects are—predicts kids’ problem-solving abilities as they prepare to enter kindergarten. While the conversations parents have with their children change as kids grow older, the effect of these exchanges on academic achievement remains strong. And again, the way mothers and fathers talk to their middle-school students makes a difference. Research by Nancy Hill, a professor at Harvard University’s Graduate School of Education, finds that parents play an important role in what Hill calls “academic socialization”—setting expectations and making connections between current behavior and future goals (going to college, getting a good job). Engaging in these sorts of conversations, Hill reports, has a greater impact on educational accomplishment than volunteering at a child’s school or going to PTA meetings, or even taking children to libraries and museums. When it comes to fostering students’ success, it seems, it’s not so much what parents do as what they say. Annie Murphy Paul is a book author, magazine journalist, consultant and speaker who helps people understand how we learn, and how we can do it better. A contributing writer for Time magazine, she writes a weekly column about learning for Time.com, and also blogs about learning at CNN.com, Forbes.com, MindShift.com, PsychologyToday.com and HuffingtonPost.com. She contributes to The New York Times Magazine, The New York Times Book Review, Slate, and O, The Oprah Magazine, among many other publications. She is the author of The Cult of Personality, a cultural history and scientific critique of personality tests, and of Origins, a book about the science of prenatal influences. She is now at work on Brilliant: The New Science of Smart, to be published by Crown in 2013.